The package uses a home grown crawler. Sure, there are already many other crawlers available. I built a custom one part as a learning exercise, part because the other crawlers didn't to exactly what I wanted to. * Crawl all links in the given html. So first we get all links. Then we'll filter out mailto-links. The next step normalizes all links. After that we'll let a crawlProfile determine if that link should be crawled. And finally the link will get crawled. The DomCrawler returns strings. Those strings get mapped to Url-objects to make it easy to work with them. 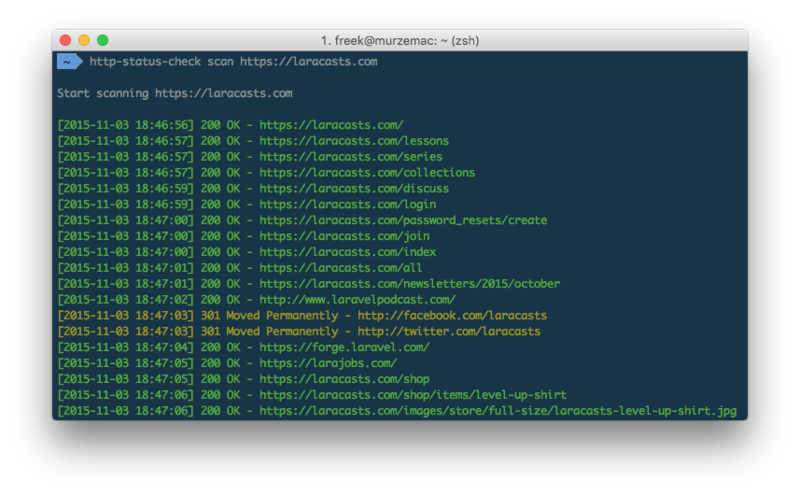 $baseUrl in the code above contains the url of the site we're scanning. The package provides an implementation that will crawl all url's. If you want to filter out some url's there's no need to change the code of the crawler. Just create your own CrawlProfile-implementation. Crawling an url Guzzle makes fetching the html of an url very simple. There's a little bit more to it, but the code above is the essential part. That concludes the little tour of the code. I hope you've seen that creating a crawler is not that difficult. If you want to know more, just read the code of the Crawler-class on GitHub.